With complete security system and with the help of the leading technologies, we make it possible to make payments online. Fret not! We ensure that all the details are kept confidential and are not shared with the third party. We own a capacious and well-structured warehousing unit wherein we store the entire lot away from diverse damaging factors such as moisture, rain, sunlight and various others. 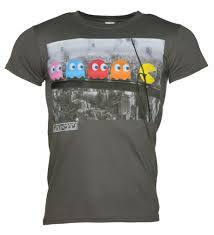 Men’s T-Shirts have a round neckline with printed designs and are available in a different colors and sizes.